When Audi drivers are near Carlsbad, Rancho Santa Fe, or Encinitas, they count on the auto mechanics at Complete Car Care in Encinitas. Our team of ASE-Certified auto mechanics are trusted to handle auto repair for Audi drivers throughout the region. No matter how major or minor the service is, we are here to get you back on the road safe and sound. 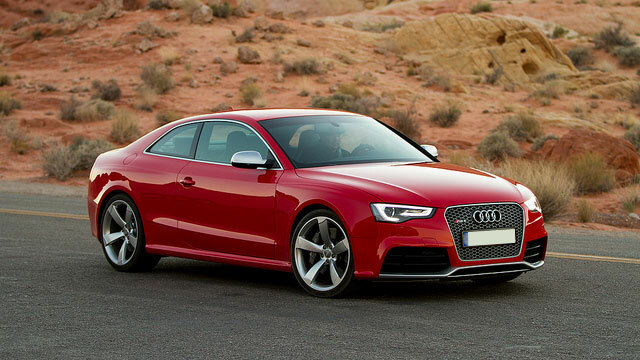 At Complete Car Care in Encinitas, our auto mechanics are fully trained in the service and repair of Audi vehicles. These complex, intricate vehicles require expertise and the right equipment. Fortunately, our team possesses both of the components and more, as any parts that your Audi needs will be of the highest quality and reliability. We know our way under the hood of your Audi, and our 3-year/36,000-mile warranty is just one example of how we stand behind our work. “These guys are awesome! I have brought in my car a few times to get serviced, and have always had a great experience. Fair pricing, they don't take too long, good service, and no condescending tones just because I'm a girl :). I really appreciate how they took the time to explain everything, and made sure I knew what I was paying for.” -- Ashley P.
The next time your Audi needs service, turn to the team of auto mechanics at Complete Car Care in Encinitas. We are the go-to auto repair shop for Carlsbad, Rancho Santa Fe, and Encinitas drivers, as we are directed by a strong moral compass, offer exceptional auto repair backed by a 3-year/36,000-mile warranty, and convenient loaner and shuttle service. What more can you ask for? Schedule an appointment today, or stop by at 318A N El Camino Real, Encinitas, CA 92024.